The Seahawks have, in the eyes of many, navigated half of an expectant season to a glass half empty. They once stood, after all, at a replacement-ref-inflated 4-2. So reaching the NFL’s midseason with a 4-4 record means the Seahawks have stumbled of late. Still, the very word that explains the tidal inconsistencies of the first eight games is the same that should inspire optimism for the final eight: Yutes. Not to go all My Cousin Vinny on everyone (though George Costanza isn’t the only dude with a thing for Marisa Tomei), but what people outside of Jersey refer to as “youth” is an additive, to a sports team, tantamount to chili flakes. Sprinkle in just the right amount, and you get a kick. Too much, and you can get burned. Inexperience, as an explanation for failure, glazes over the eyes of many I-want-it-now sports fans. And Seahawk coach Pete Carroll may have sounded, during his mid-week press conference, like a tottering patient lurching for his crutch. But, fact is, youth rarely is served at the championship levels to which the Seahawks aspire. Where the Hawks have their yutes is especially critical. Never mind that the Seahawks are among the 10 youngest teams in the NFL, they are especially young at strategically diagnostic positions like quarterback, offensive line and linebacker. In football, youth is most abided, even preferred, at the skill positions (backs and receivers), which are more rote and run. On the defensive side, that extends to the corners, which is why a young guy like cornerback Richard Sherman can smack and yack to his heart’s content. That’s not to say there is an absolute dearth of scheming at those positions, just that attitude and athleticism can carry the day most of the time. Youth, to wit, can explain the Jekyll-and-Hyde nature of the Seahawks’ strength, their secondary. Mostly all brash and bash, Sherman and Co. can get toasted, as they did by Matthew Stafford, for 353 yards and three touchdowns, while blowing a fourth-quarter lead in a 28-24 loss in Detroit. They often go for an obscenely impactful hit or interception when something simpler would have served the team better. That’s inexperience. 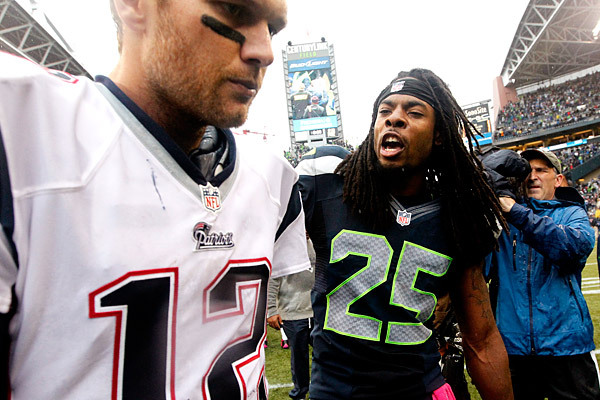 The safeties, Earl Thomas and Kam Chancellor, are the envy of the league. The fact that they’re already as good as they are is a mind-boggling plus for the organization. Safety is a position that needs little tending for years to come, and one certain to become even stronger. But until then, because they haven’t built up their “reservoir of occurrences,” as Carroll puts it, there can be the occasional miss among their big hits. 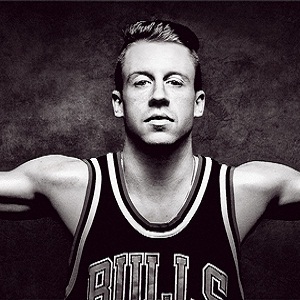 Are Seahawks at Macklemore’s level? As stellar as the starters, including cornerback Brandon Browner, can be, the secondary is not an overwhelmingly deep group for the Seahawks, which goes to explain some of the defense’s third-down-and-long struggles. Outside of Marces Trufant, who is not nearly at his previous Pro Bowl level, Seattle doesn’t have particularly competent defensive backs to fill a dime package, meaning they rely more on linebackers, which explains their getting beat too often underneath. A lot of hope thereby lies in the health and ability of Walter Thurmond to fulfill the promise Seahawk coaches have projected for him. Speaking of health and third downs, injuries have deprived the Seahawks’ defensive line of consistent depth, explaining, in part, why Seattle’s pass rush tends to wane as a game progresses. This played out in spectacular fashion against Green Bay, when Seattle recorded eight sacks of Aaron Rodgers during the first half, yet got none as Green Bay scored all of its points and arguably stole the game in the second. Also, if the Hawks get caught with the wrong personnel grouping, their unorthodoxy on the d-line -defensive end Red Bryant, whose 335-plus pounds makes him a premier run stuffer, or rookie speed rusher Bruce Irvin, who lack of girth can be exploited – can work against them. That’s not to say the Seahawks’ base defense isn’t, or won’t be, among the best in the NFL. It’s balanced, aggressive, quick to the ball, and mismatch-inducing. I’ve picked defensive nits only because the Seahawks’ most potentially problematic yute, rookie quarterback Russell Wilson, already has been debated ad nauseum, to the point of overshadowing much else about the team’s first half. Carroll certainly has gambled by starting a rookie at the sport’s most important position, on a team with enough other components to contend for a playoff berth or more. You’d be hard-pressed to pinpoint a team that won a title with such inexperience at its center. Magic Johnson leading the Lakers to a title during his rookie campaign is one rare example, but Wilson is no Magic Johnson, and quarterbacks have to coordinate 10 other teammates and dissect 11 defenders. Wilson has flashed upside, but has not put together a string of games – good or bad – to make any pronouncements about his fitness for the position. The debate about him so far has ping-ponged based on single-game performances. He has the poise and work ethic to promise improvement as the season progresses, but it’s difficult to imagine the Seahawks getting championship-caliber quarterback play from a rookie who is also learning to overcome a size challenge. The good news is that the young offensive line is getting healthier and gaining some continuity (and Russell Okung appears to be shaking off a knuckle-headed start to this season). This group’s continued improvement means an enhanced ability to provide moving pockets, which their Lilliputian quarterback often needs to establish passing lanes. And it could mean making things a little easier on Marshawn Lynch. The fear otherwise is that his punishing running style could diminish the amount of Beast Mode available for the postseason, or even the string of divisional home games in December that the Seahawks must win to get there. Otherwise, the Seahawks feel one reliable young burner short in the receiving corps. The signing of Sidney Rice seemed to address what the Seahawks were after during their courtship, early in the Carroll-Schneider era, of Vincent Jackson and Brandon Marshall. But did it? Rice is a receiver deserving of the bulk of a team’s targets, but lacks the defense-stretching complement that would make him even more effective – the John Taylor, in other words, to another Rice, Jerry. Golden Tate has been almost absurdly mercurial, and the Seahawks miss the bailout ability of Doug Baldwin, accentuating the absence of a dazzler. In this grow-as-you-go season, it’s difficult to pinpoint the youthful component that most certainly will rise up enough to stamp the Seahawks as clear contenders. A lot of hope has been heaped upon a non-personnel element, the schedule, which appears more downhill after a first-half assault of gunslinger-led offenses and features five games at Paul Allen’s noisemaker down in SoDo. Still, it feels like Seattle needs 10 victories to make the playoff, so because of its 50-50 start, it might have to sweep its home games and a road game in Miami, Chicago or, more likely, Buffalo (played in Toronto). It’s doable, but doesn’t yet pack the inevitable payoff of, say, a Macklemore joint. The only guarantee about the Seahawks’ yutes is that, like during the season’s first half, it will drive us all crazy – sometimes with disappointment, but more so anticipation.